Minister Rabbi Aryeh Deri will be returning to the Interior Ministry, sources said Tuesday. More than 15 years since he was forced to resign– the Shas party head will be returning to a post most Israeli political observers felt would never be given to him again. Rabbi Deri will be taking the place of former Interior Minister Silvan Shalom, who resigned and withdrew from public life last week. Rabbi Deri first took the post in 1988, when he was 29 years of age – the youngest minister in Israel’s history. He remained at that post until 1993, when Shas resigned from the Labor government led by Yitzchak Rabin. With the formation of Binyamin Netanyahu’s new government and Rabbi Deri’s return as head of Shas, the question of which ministry Rabbi Deri would demand came up. 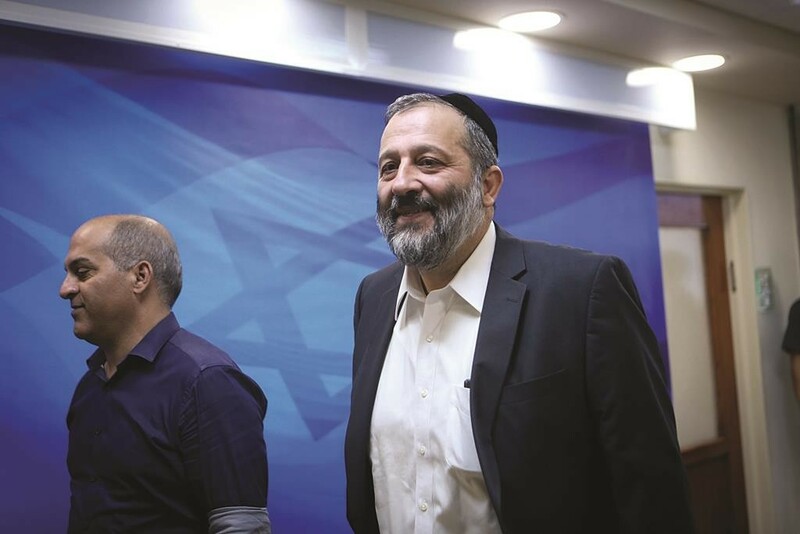 During coalition negotiations, Rabbi Deri reportedly demanded the Interior Ministry, but was convinced by Netanyahu to back down. Instead, Rabbi Deri took the Economy Ministry but then quit that post several months ago over disputes regarding the contract framework between the state and the licensees of the Leviathan gas field. The government is likely to take up a nomination of Rabbi Deri for the post at its meeting next Sunday. Netanyahu, who is currently holding the posts of Interior Minister, Economy Minister, and also Foreign Minister, is likely to appoint other Likud MKs, including Yariv Levin, Tzachi Hanegbi, and Benny Begin to ministry positions as well, the sources said.